Freshen around your house. Place an unfolded, Fresh and Soft sheet in drawers, closets, hampers, stored suitcases, waste baskets, automobiles and any other spaces you want smelling fresh and clean. 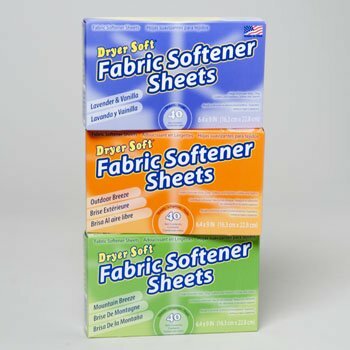 Safe for all washables and all dryers.